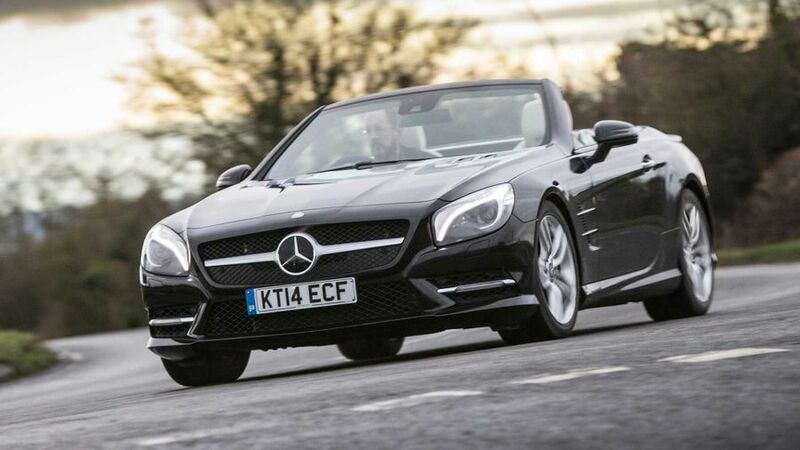 Read the Mercedes SL-Class Roadster convertible (2012 - ) car review by Auto Trader's motoring experts, covering price, specification, running costs, practicality, safety and how it drives. Mercedes’ flagship roadster sticks to a formula of subtle sophistication and effortless year-round usability. With a feel-good factor that few cars can compete with, the SL has plenty of appeal, although it’s too mute in its feedback to appeal to keen drivers. As long as you don't need to worry too much about running costs, the SL500's added pace justifies the extra it costs to buy over the SL400. Combined economy of nearer 40- than 30mpg is impressive in such a quick and heavy car, and this is the only SL with sub-200g/km CO2 emissions. Given how fast, luxurious and classy the 'lesser' SLs are, there's no way to justify spending more than twice as much as the SL400 costs on this. Interested in buying a Mercedes-Benz SL Class? The SL retains the classic roadster proportions of its forebears: the long bonnet and a cabin positioned towards the rear of the car's length are hallmarks of the model. The headlights and grille give it a handsome, bluff front end, although the rear end is less distinctive, with the large rear deck flowing into a more ‘melted’ rear body. In fact, the SL could be mistaken by the uninitiated for the lesser Mercedes SLK, with which it shares some styling themes. That said, it’s a relatively subtle-looking car (even with an AMG body kit on every model and some ‘bling’ detailing such as the vents behind the front wheels and large daytime running lights), particularly when compared to its more ostentatious competition – something which will appeal to many buyers. The SL's interior will be familiar to owners of any current Mercedes, as it uses pretty much the same centre console arrangement as most of the line-up. It also cribs elements from the Mercedes SLS supercar, notably the vents and dials. However, what it lacks imagination, it more than makes up for with its usability: all the buttons are where you’d expect them to be and, despite the car’s multitude of gadgets, most things are easy to decipher and use. The interior exudes a sense of high class and high quality, while the standard of fit and finish is exemplary, and your choice from the myriad trim and colour combinations available can really change the feel of the car: black leather and brushed aluminium puts the driver in a more sporting frame of mind than the relaxed wood on chocolate brown leather. The wood used is well finished and complements the interior, rather than clashing with the more contemporary design fixtures. The SL caters for just two passengers, but does so extremely well: leg- and headroom are generous considering the car’s low profile, and there's enough room for even the tallest drivers to get comfortable. Cabin storage space is limited to a brace of shallow (though nicely trimmed) door pockets and a reasonably sized glovebox, as well as a small amount of space between the seats and the rear bulkhead. The boot is very large with the roof up, and even when it's retracted, there is still enough space for a couple of small suitcases and overnight bags. All-round visibility is good, too, although the sheer length of the car's nose can make it awkward to thread through tight city streets and - especially - pull out of T-junctions. The SL’s sports car stance and big wheels belie a surprisingly comfortable ride. Admittedly, there's still a sportscar-like firmness at low speeds, but with the car in comfort mode, it's much more like an executive limo than you would believe. The SL is a very refined car, too: whisper-quiet with the roof up and, thanks to the standard-fit wind deflector, buffet-free with the roof down. Even when you switch the dampers into the firmer sport setting, the passengers are still well isolated from any undulations. However, the trade-off for this is a sense of disconnection when pressing on, particularly as the electro-mechanical steering denies drivers of any feel for what the front wheels are doing. What's more, the SL is quite a heavyweight and you feel that on tighter, twistier roads. It feels a little unwilling to change direction quickly, and it gives its brakes a workout. However, if you accept that the SL is a Grand Tourer in the classic style, then you're playing it to its strengths. On a fast, flowing road with wide, sweeping bends, it's an absolute pleasure to drive - wonderfully composed and beautifully balanced. Not a car to blast down B-roads, but one to cross continents in. There are four different flavours of SL, and even the most basic (although 'basic' is hardly the word!) has enough power to get this relatively heavy car to 60mph in just a shade over five seconds. 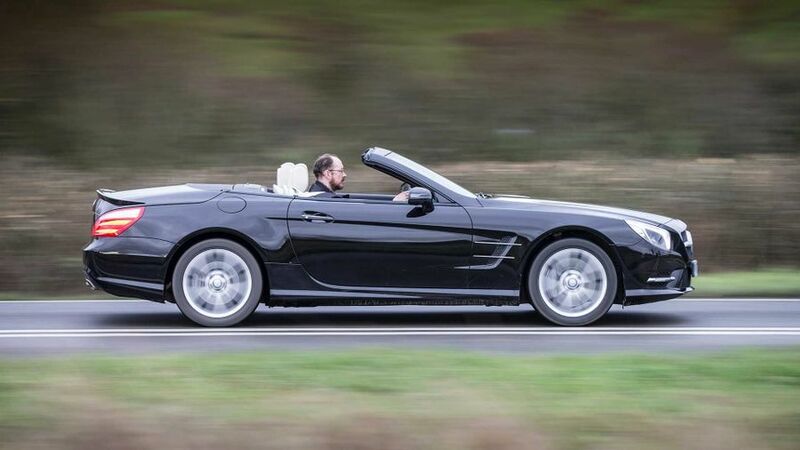 In fact, the SL400 is quick enough to make buyers question whether there's any real need to buy the dearer SL500, especially when both provide more than enough power to take advantage of any overtaking opportunities - and to get down the road at serious speed. The only slight frustration is the seven-speed automatic gearbox, which can be a little slow to respond when you want to really press on - although it's fine when you're in less of a hurry. This makes the SL easier to live with when you’re not in the mood to play. On the other hand, the two AMG models at the top of the range are different beasts again - appreciably quicker to respond and much more of a sports car across country than the humbler SL400 and SL500. There's not getting away from it: any SL is petty expensive to buy and run. That said, the SL400 does have official combined economy figures of more than 35mpg and its CO2 emissions - and, as a result its VED and company car bills - are appreciably lower than on the other cars in the range. Drive the SL63 or SL 65 AMG models in anger and you're unlikely to return anything better than 20mpg, but if you can afford the car in the first place, that probably won't be a problem. To cap it all, every version sits in the highest band for insurance. While there is nothing with the SL to suggest that it will prove to be unreliable, it is still too young for inherent faults to have surfaced. Older models have been known to develop electrical gremlins as they age, requiring costly work to fix, but there is some peace of mind in the SL's three-year warranty, as well as the fact that the few owner reviews online are uniform in their praise for the car's reliability. The Mercedes SL has not been crash tested, but we expect that, if it was, it would have a high rating like other Merc passenger cars, all of which have received the maximum five stars since 2009. As well as the usual airbags, ABS and electronic stability programme, the SL also features Attention Assist, anti-whiplash head restraints, a tyre-pressure monitoring system and roll-over bars that are activated automatically in the event of an accident. The Night View Assist package is optional on the SL400 and SL500, while the range-topping SL65 AMG also gets the Driver Assistance Pack (lane departure warning, blind spot assist and autonomous braking - an option on the SL63 AMG) as standard. There is no choice of trim level with SL, with the SL400 and SL500 coming only in AMG Sport trim. 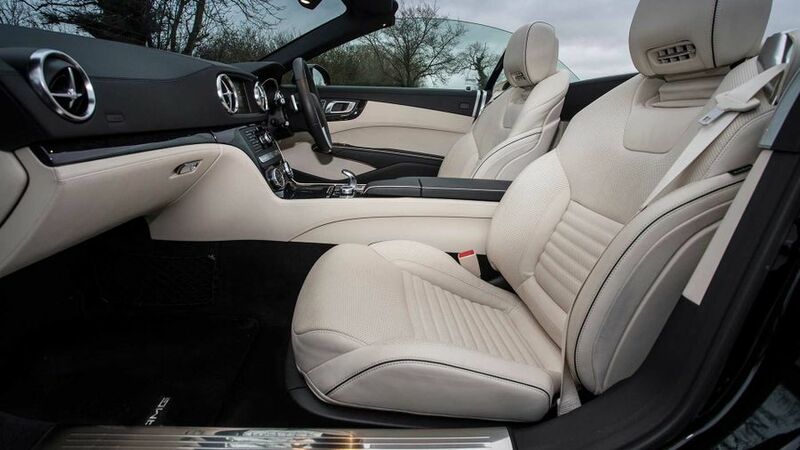 Standard equipment includes climate control, heated and electrically adjustable sports seats, leather upholstery, sat-nav, Bluetooth connectivity and a DAB radio. 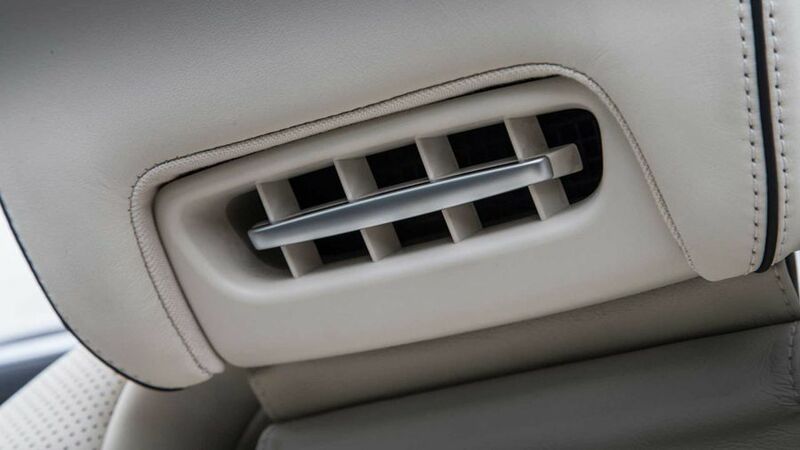 The extensive options list includes keyless-go, the Airscarf neck-level heating system and an uprated stereo. Go for the AMG models, and you also get a bespoke look inside and out, while the top-of-the-range 65 AMG adds as standard the Airscarf system, ventilated seats and a Bang & Olufsen stereo. Because it has all the class and performance you could possibly want without any histrionics. 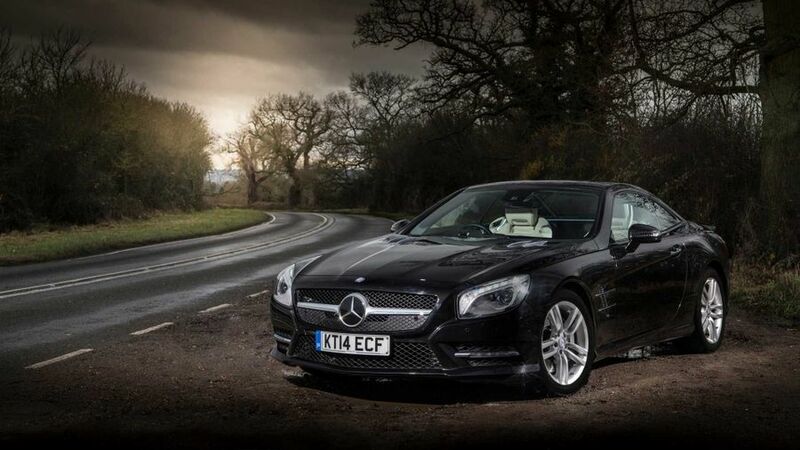 The SL trades in the last few degrees of driver involvement for refinement and comfort, which will suit most buyers. Its party piece coupe/convertible roof is also unmatched by any rival.